Somehow I don't think that the first Terrestials on Mars will be monkeys...if for no other reason than to keep Letterman and O'Brian from making "Planet of the Apes" jokes...NASA hasn't ever been accussed of under-engineering anything; they are constantly amazing us by how sturdy and robust their probes are. The down side is that now people are starting to expect NASA probes to last years or even decades longer than expected; we are more amazed when one fails prematurely than when they last longer than designed. No monkeys on Mars till they open a zoo there. * They were sent into space because no one in the rocketpunk era really knew whether primates, specifically us, could survive in space at all. If monkeys could, and they did, we probably could to. * Presence of a zoo could be a Pretty Good marker of colony emergence: A place you take the kids to show them what exotic Earth is like. Outlasting design specs is a Very Good Thing! It also relates to another perhaps unexpected feature of space progress - the ways and degree in which it is sneaking up on us. 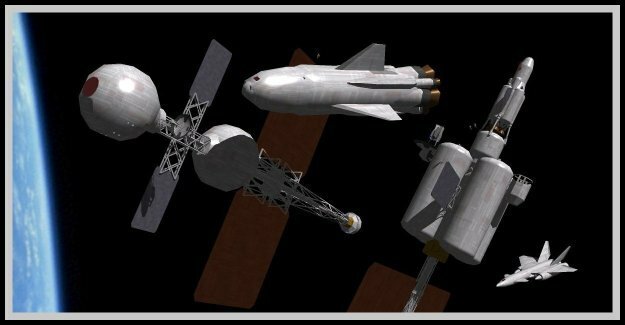 Like it suddenly hitting me, a few months back, that we'd actually had a permanent space station for most of a decade. Most successful space activity soon ceases to make news, and becomes part of the taken for granted background. Who thinks about comsats?